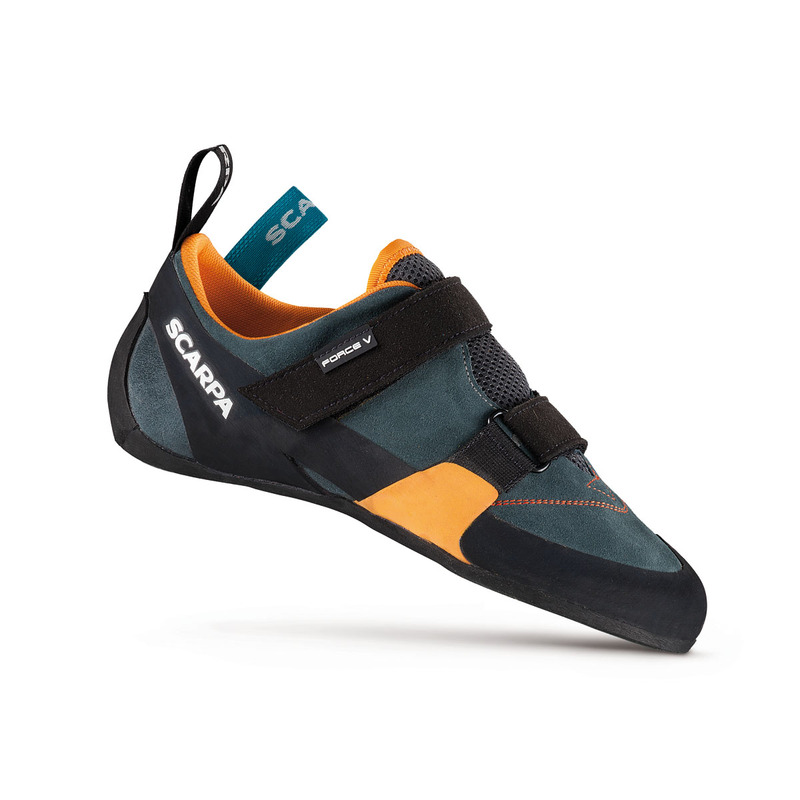 The Scarpa Force V is a highly comfortable shoe with a few more features than your standard beginner's shoe. Like most entry-level shoes it features a flat profile and a stiff midsole to maximise comfort and support, but it features more internal padding to increase comfort further along with other Scarpa features they use on their performance shoes. The V-Tension randing system connects the shoe's velcro to the toe to make it more precise and powerful than without a rand, and the XS Edge rubber provides durability and great edging performance.